"Great staff and nice amenities." Have a question for Windhoek Country Club Resort? Situated in Pioneers Park, Windhoek Country Club Resort is the perfect place to experience Windhoek and its surroundings. The city center is merely 8.7 Km away and the airport can be reached within 80 minutes. With its convenient location, the hotel offers easy access to the city's must-see destinations. 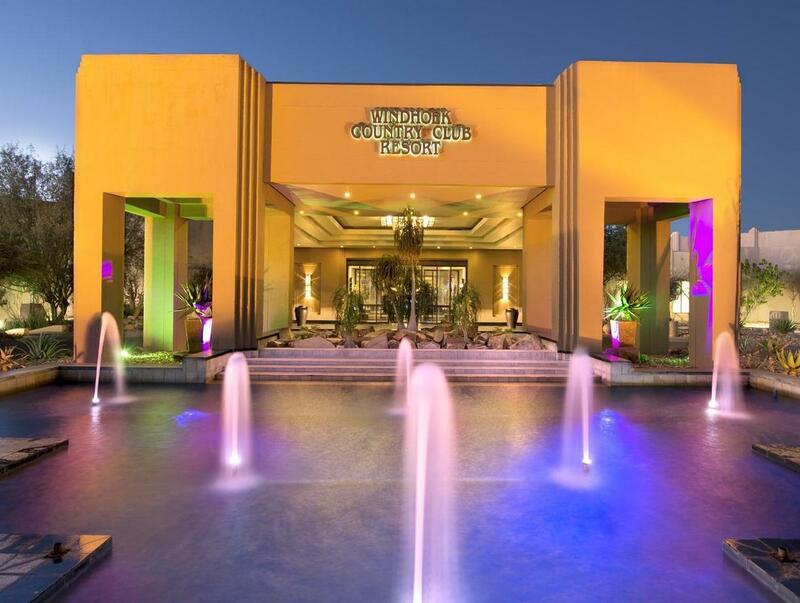 The facilities and services provided by Windhoek Country Club Resort ensure a pleasant stay for guests. To name a few of the hotel's facilities, there are 24-hour room service, free Wi-Fi in all rooms, casino, facilities for disabled guests, Wi-Fi in public areas. Step into one of 152 inviting rooms and escape the stresses of the day with a wide range of amenities such as television LCD/plasma screen, internet access – wireless, internet access – wireless (complimentary), non smoking rooms, air conditioning which can be found in some rooms. The hotel's fitness center, golf course (on site), outdoor pool, pool (kids), tennis courts are ideal places to relax and unwind after a busy day. When you are looking for comfortable and convenient accommodations in Windhoek, make Windhoek Country Club Resort your home away from home. "Venue, location, staff, food all great for a large group." I was doing a tour of Southern Africa (highly recommended, by the way) and I had a day in Windhoek before I got my tour to the Namib desert started. It was a great choice. Great staff and nice amenities. The room was awesome. I just wish I would have brought my golf clubs. Our stay in the hotel was very nice we enjoy every moment thanks. AVERAGE. Outdated rooms, in a state of dis-repair. We went in winter and none of the common areas were heated. The casino smells awful. Loved the services and it's location despite quite a distance to city center. The golf course is good too! Our golf tour group really enjoyed our stay. Very comfortable and not expensive. Cleanliness, staff and size of rooms. Hotel was very clean and comfortable. Only two concerns were our dinner from room service was cold. We asked for a local map and we couldn't read it. Writing was too small and map was just a photocopy. Internet is always down Even when it is working, hotel employee says it is not working. There is not gym in the hotel and you need to take taxi or shuttle bus to get to gym. And pick up from gym back to hotel is always late you will have to wait half an hour easily. Typical african. OK facilities but employees are not well trained. Leider wurde uns am bewachten Parkplatz des Golfclubs das Auto aufgebrochen und Sachen gestohlen.